Henry Fairfax, D. D., Dean of Norwich, died aged sixty-eight in May 1702 and was buried in the south aisle of the nave of Norwich Cathedral. His monument represents him as deposited in the midst of a small stone library, although during his lifetime he had been described by a hostile critic as a man who never looked into a book and was ‘good for nothing but his pipe and his pot’.1 A long Latin inscription refers to his defence of religion as one of the deprived fellows of Magdalen College in Oxford during King James’s reign. It also mentions the circumstance that he was a nephew of the victorious Parliamentarian general at Naseby, Sir Thomas Fairfax, who had been (so the inscription goes) ‘a wise man whether one contemplates his actions or his counsels’. 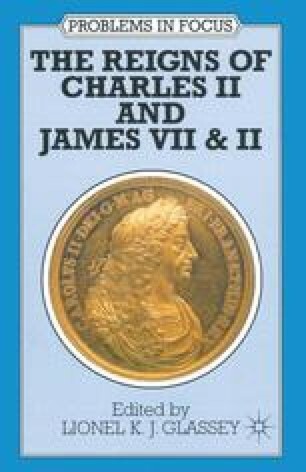 These laudatory references to the Captain-General of the New Model Army and a rebel who had defeated his King, Charles I, in battle, gave great offence in early eighteenth-century Norwich. An order was given to scrape the words ‘Naseby’ and ‘wise’ off the marble on which they were inscribed. A visitor to the south aisle of Norwich Cathedral today can still see the gaps in the Latin text where a Parliamentarian hero had once been celebrated.